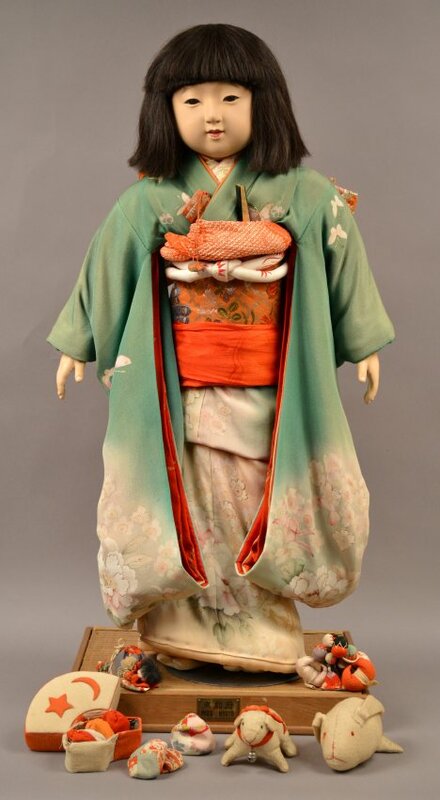 This otedama (game of bean bag toss) set is part of the Miss Kyoto doll accessories. 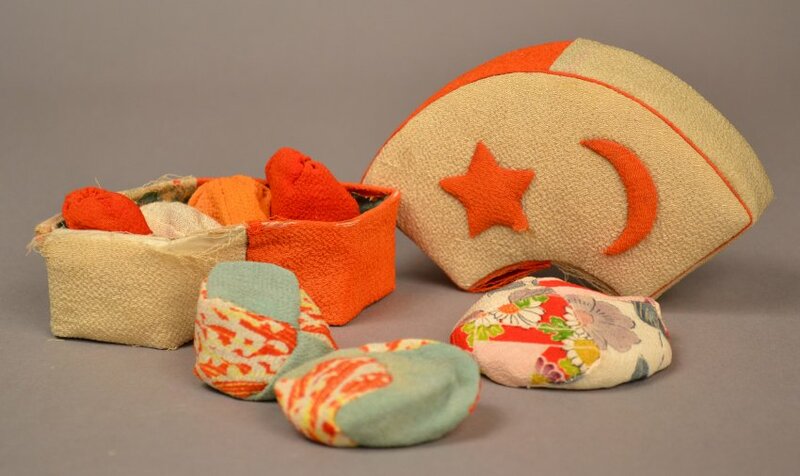 The otedama bean bags are held in an orange and cream colored silk-covered, crescent-shaped box, decorated with an orange moon and star on the cover. The inside of the box is lined with blue paper patterned with silver geometric shapes and with cream and orange flowers. Otedama is a game of toss similar to playing jacks.